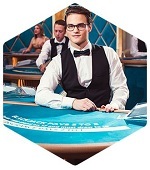 Live blackjack forms one of the big three live dealer games (alongside baccarat and roulette). It is, therefore, one of the most common live casino games you can find online. Whether you prefer classic blackjack or like a bit of a twist in your gameplay, there is always something to suffice when you play Evolution Gaming’s live blackjack suite. Blackjack – did you know? 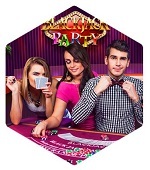 – Like Roulette the card-game Blackjack also originated in France! – Of all the hands you can get the one adding up to 16 is the one you do not want to get!! – Getting a total of 21 is not automatically a “Blackjack”. Only if you have a ten (or face) and Ace you have a Blackjack! There are numerous locations streaming live blackjack games to your homes and phones. Aside from the countries we have already mentioned, where the individual studios are, the blackjack games can also be streamed from prestigious casino venues. Vegas, Macau, and Mayfair are known to be some of the more exotic locations for you to play your favourite live blackjack games from. The live blackjack games which are streamed out of these luxurious casinos are usually reserved for those players trying their hand at most costly games. Low stakes games are usually streamed from the studios across Europe and Canada. Players will note that the live blackjack games they can play are available in multiple languages, which helps them cater to players irrespective of where in the world they happen to reside. They are mostly all mobile-friendly, too, and although there are a few tweaks of the rules here and there, they offer broadly the same standard blackjack gameplay. You probably have some idea of how to play live blackjack. Most blackjack variants follow the same rules, so playing a live dealer version of the game isn’t really any different than playing online RNG blackjack. Here’s how it works – it all starts with your bet. The Bet: Like most card games, players must use the chips at their disposal to place a bet in live blackjack. Your bet must be placed in the betting circle provided on the table and fall within the table limits defined on the screen. The Deal: You’re playing against the dealer in live blackjack, not other players. Once a bet has been made, the dealer will deal two cards to you and two for themselves (and any other players who have joined the table). In most cases (depending on the variant you play) both of your cards will be dealt face up, while only one of the dealer’s cards will be visible. The Value of the Cards: Each of the cards count for its own numerical value in points in blackjack, with faces counting as 10s, and aces as either 1s or 11s, depending on what you need and what is permissible. The Play: You should now have several options open to you. You will probably be aware that you need to beat the dealer by obtaining as close to 21 points in your hand as possible. If you go over that magic number, though, your hand is bust, and you lose your bet. Players may choose to Hit, which involves taking another card to try and get your hand as close to 21 points as possible. Alternatively, could opt to Stand (stick with what they have) and this advisable if you have a suitably high-value hand. Players may choose to Double Down, too. This involves taking just one more card at the expense of doubling your bet. Under certain contains, players can also Split their hand into two hands, at the cost of another stake equal to the original ante bet. Most commonly done with a pair of 10s, you must take a new card to each of your new hands, but no more. A few live blackjack games will let you split aces, too, but not many. The final option you have open to you is the Insurance bet. If the dealer has a card visible which implies they may have blackjack (21 points) then it may be worth taking this bet. You are essentially making a side-bet that the dealer has blackjack and if they do, you will pocket a payout no matter the outcome of your hand. Most experienced blackjack players will convince you not to take this bet, though, as it seldom turns out to be worth it. Once you, the other players, and the dealer have made your decisions, the hands are then compared. Any hands worth more than 21 points are instantly busted out of the game. However, hands worth 21 points are less are still in play. The hand (either you or the dealer) which is worth more wins. Dealers typically choose to stand on 17s and hit on anything below. However, they may be prepared to change their mind if you’ve got a great hand. Any opening hand which is worth 21 is usually deemed to have won outright, a hand known as a Natural. If there is a tie, the hand is a push, and your bets are returned. However, if you beat the dealer with any hand, you can pocket 1:1 winnings. If you beat the dealer with blackjack (21), you can pocket a 3:2 payout. If you did take Insurance, and the dealer did indeed have blackjack, you will bag a 2:1 payout even if you lose the hand. 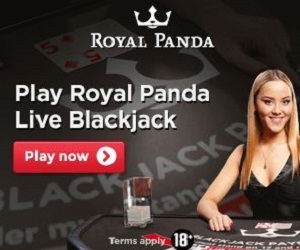 Not every online casino offering these live dealer blackjack games will be able to provide the total package. 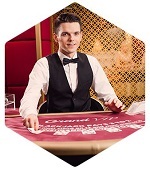 You will note that Diamond, Platinum and VIP live blackjack games vary from site to site. Just like the more lavish and higher limit blackjack games don’t appear at every website, the table limits of blackjack games also vary. Games streamed out of the UK for instance, may have slightly different table limits than those streamed out of Latvia. Since Riga is one of the hubs for these live blackjack games, it is in Latvia where you are likely to find the multi-lingual games. Vegas Blackjack does not feature a random shuffle, but most other live blackjack games do. If this matters to you (if you’re a card counter, for instance), then naturally some live dealer games are going to suit you over others, namely Vegas Blackjack. Although side-bets don’t appear in every single live blackjack game, they are incredibly commonplace. 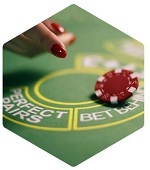 This means that you should be able to place 21+3 or Perfect Pairs side-bets in almost any blackjack game you play. Even so, the odds of success with those aren’t brilliant, so we wouldn’t recommend it. Blackjack is one of the most popular card games in the world, and live dealer blackjack games are always a hit with casinos. You don’t need too much prior knowledge to sit down and play live blackjack, so the games can be picked up and played by seemingly anyone at any time.